In order to meet the request of the International Paralympic Committee to bring the excitement of the Paralympic sports closer to home, Panasonic adopted a 4K 360-degree Live Camera at the Paralympic Winter Games PyeongChang 2018 Para Ice Hockey arena in the competition venue on a trial basis as part of the company's new initiatives toward 2020. 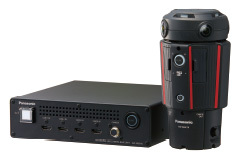 This system generates 2:1 equirectangular format 360-degree video by stitching the output of four cameras. It can give you the sense of being there at a variety of scenes, such as live broadcasts of sports, concerts, and other stadium events. 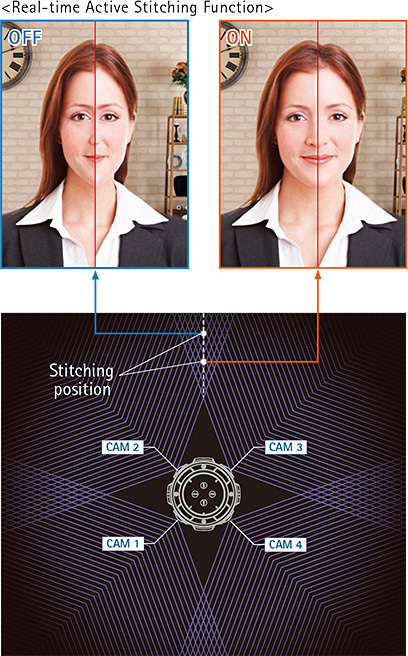 High-precision real-time active stitching function enables the camera to continuously change the stitching position by automatically detecting a subject at the seam. 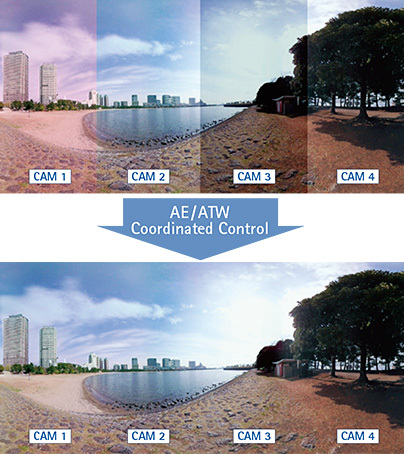 It can generate seamless natural-looking video. 4K (3840 x 2160) output produces high quality video so fully immersive that you will feel like you are actually there. 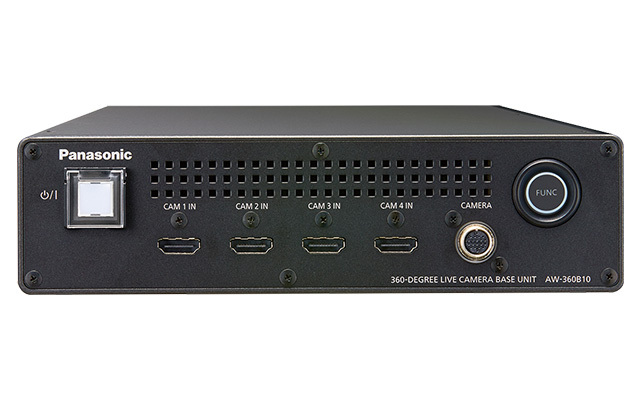 4K/30p high-definition 360-degree video stitched together and generated with low latency enables video transmission in real-time. 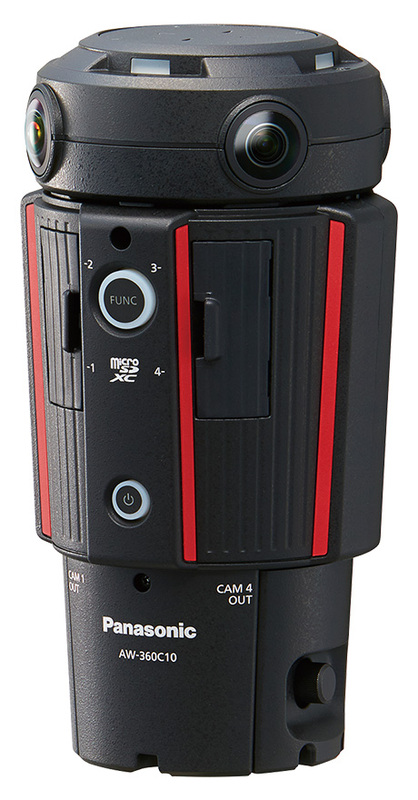 The master camera automatically controls the exposure and white balance of the images by aligning with the 4-camera system without external connection to a PC, realizing incredible operability that produces natural images every time (factory setting: master camera mode (CAM2)). 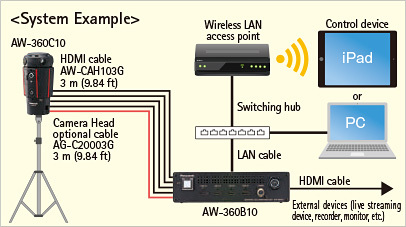 Capable of monitoring and controlling remotely with a PC or an iPad via network, this system enables swift 4K production workflow. 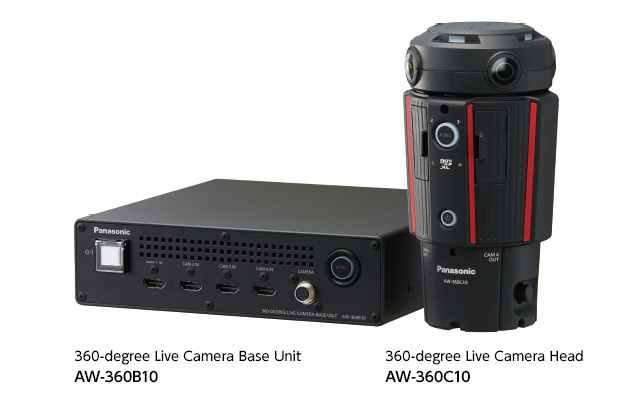 Easy to install and remove, the 360-degree Live Camera Head is equipped with an HDMI cover that prevents unexpected cable removal*, and the 360-degree Live Camera Base Unit has a switch cover that prevents accidental operation. 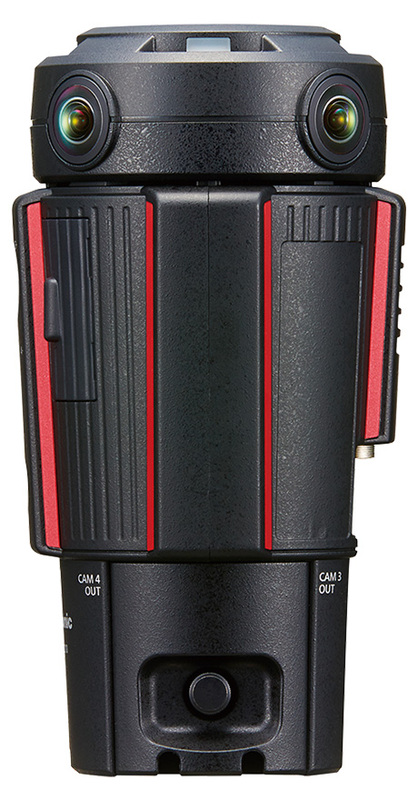 The camera can be operated in temperatures from 0°C (32°F) to 40°C (104°F) to ensure excellent reliability that meets the demands of professional video producers in live broadcast situations where failure is not an option. HDMI, High-Definition Multimedia Interface and HDMI logo are either registered trademarks or trademarks of HDMI Licensing Administrator, Inc., in the United States and other countries. Microsoft®, Windows®, Windows® XP,Windows® 7, Windows® 8, Windows® 8.1, Windows® 10 and Internet Explorer® are either registered trademarks or trademarks of Microsoft Corporation in the United States and other countries. Apple, Mac, OS X, iPhone, iPod Touch, iPad and Safari are registered trademarks of Apple Inc., in the United States and other countries. Google Chrome is either a registered trademark or trademark of Google Inc.